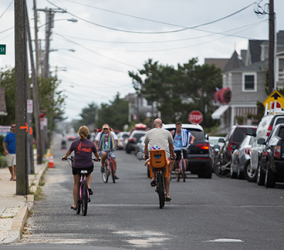 The Borough of Bay Head Bicycle & Pedestrian Plan | Welcome To Stokes Creative Group, Inc.
Stokes Creative Group, Inc. (Stokes), was awarded the task to create a website for the New Jersey Department of Transportation’s Bicycle and Pedestrian Plan that would allow the public to share its thoughts, ideas and concerns on the bike and pedestrian path before the plan was prepared. 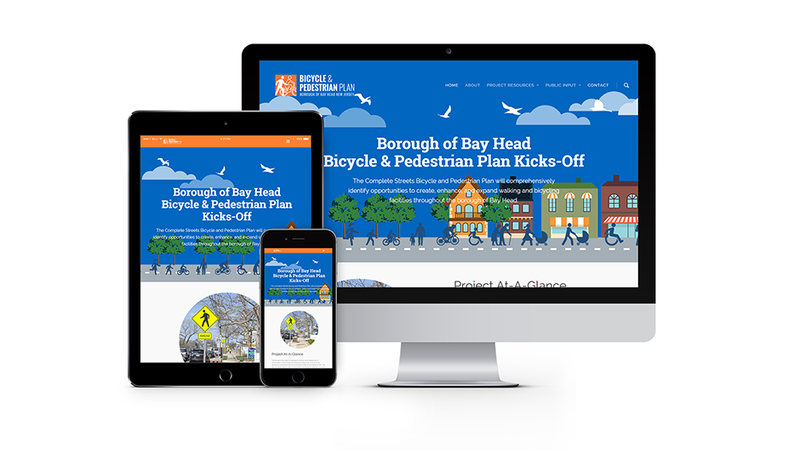 Stokes worked closely with The RBA Group to develop the look, content and graphics that would engage the county’s target audience and communicate the department’s goals and objectives. 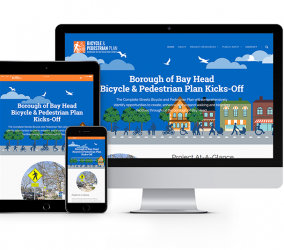 The website assisted the project team with increasing the organization’s visibility and project recognition and assisted the Bay Head Steering Committee with collecting data for its road studies. 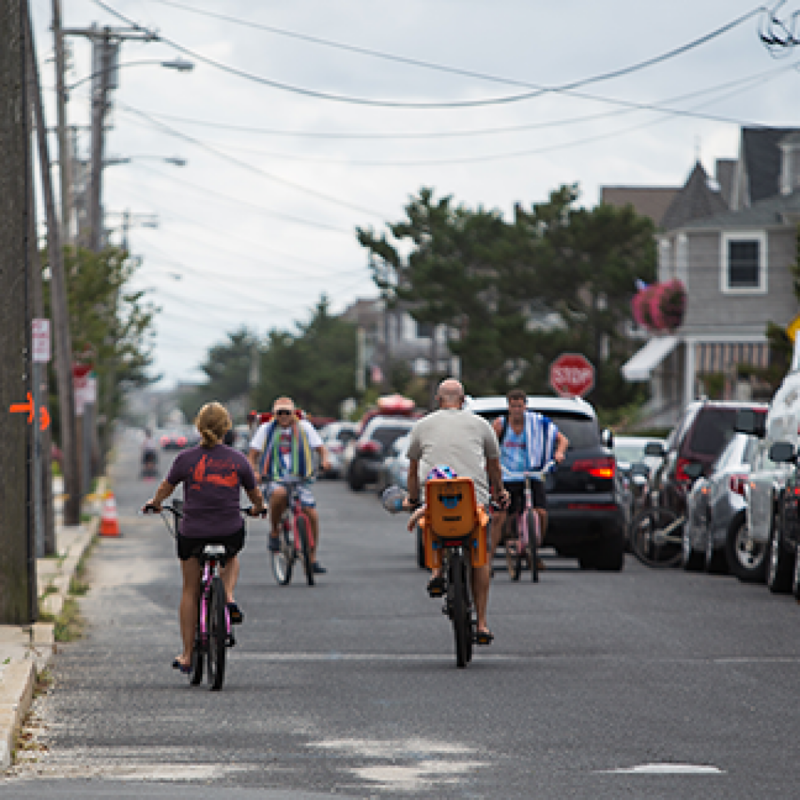 In addition to the creation of the public website, Stokes assisted with the outreach efforts which included a public visioning workshop and public open house. 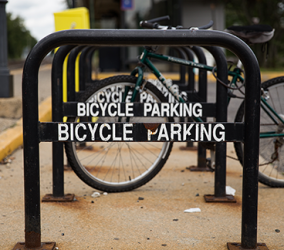 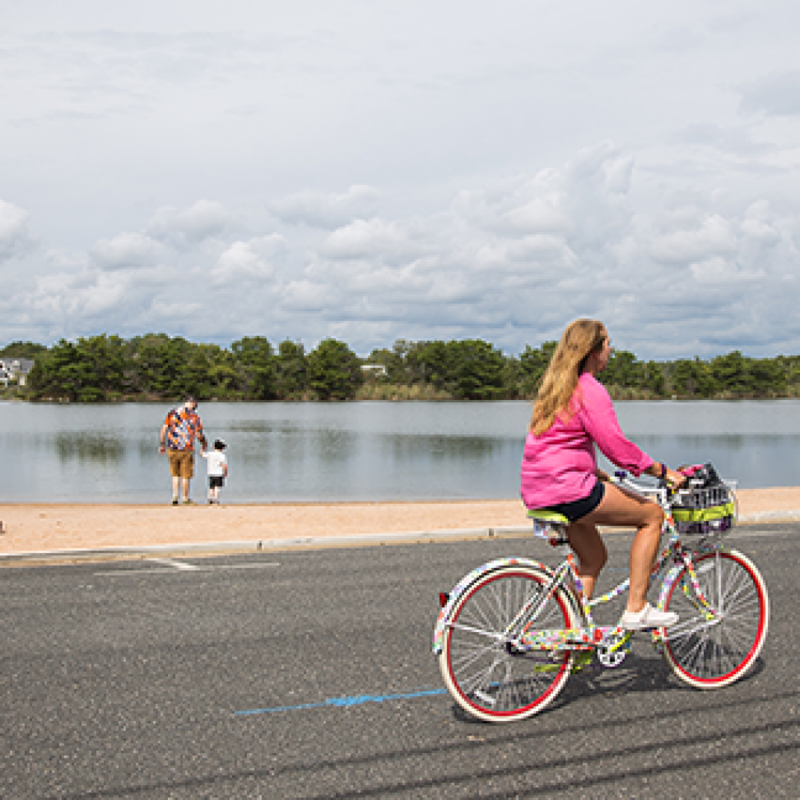 Interested in learning more about the Borough of Bay Head Bicycle & Pedestrian Plan or website? 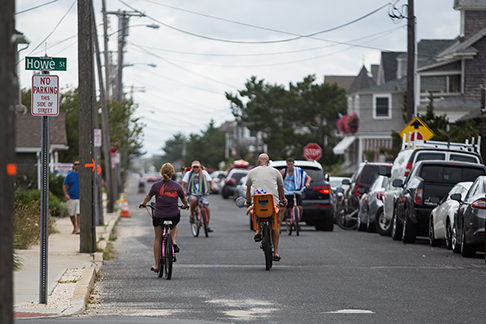 With so many families bicycling in shore towns like Bay Head, safety is always a top priority. 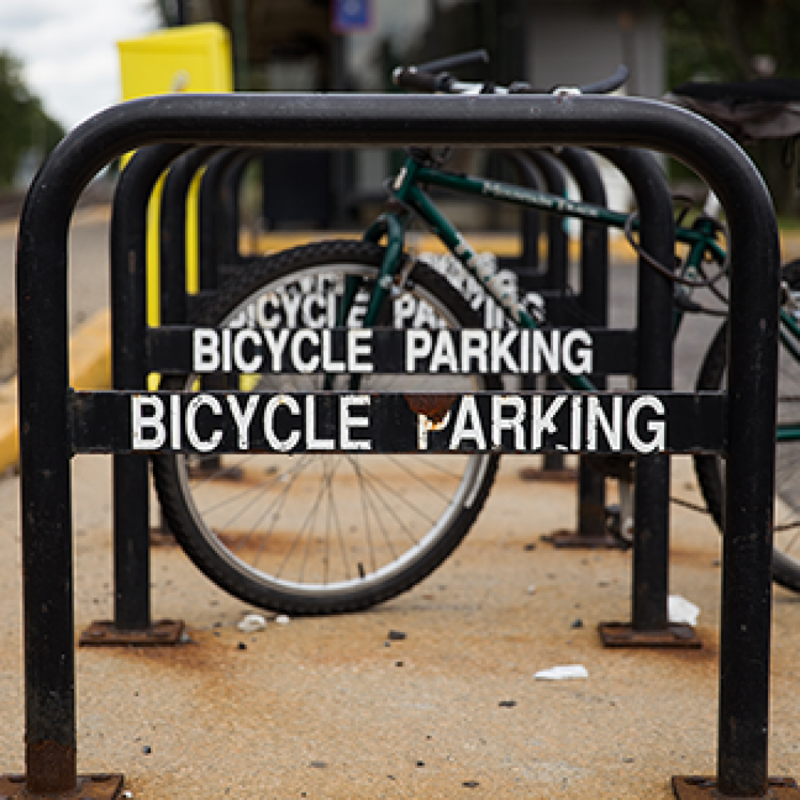 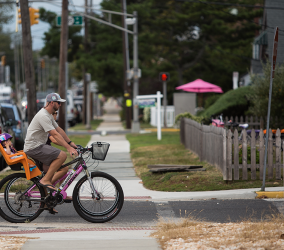 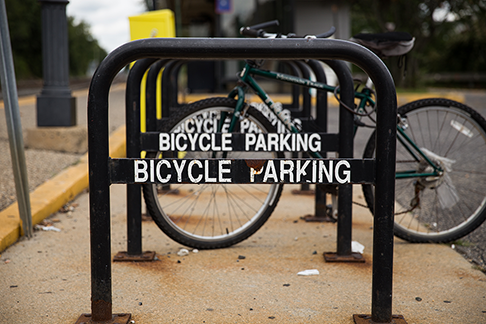 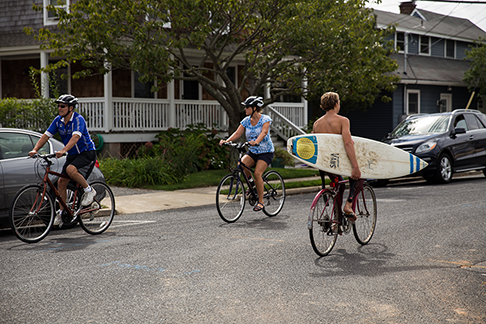 The streets of Bay Head are equally used by bicyclists and pedestrians for traveling between destinations, recreation, exercise and fun. 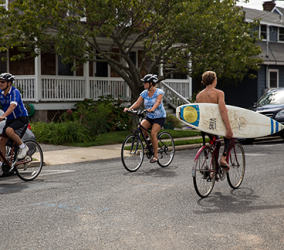 Beach cruisers are popular for recreation and exercise in Bay Head. 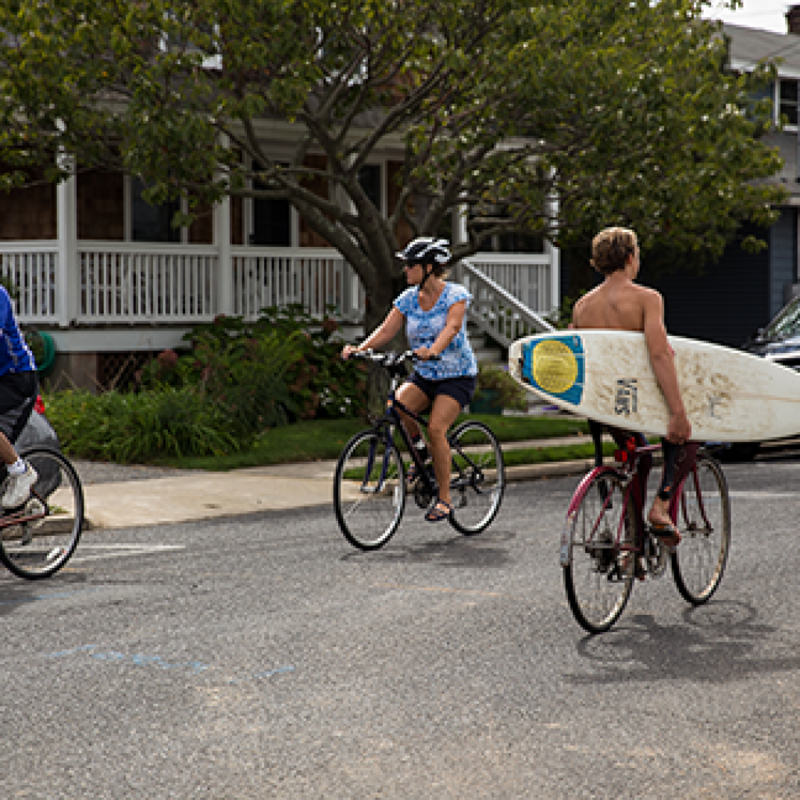 Bicycling in Bay Head is so popular they have adequate parking right near the beach. 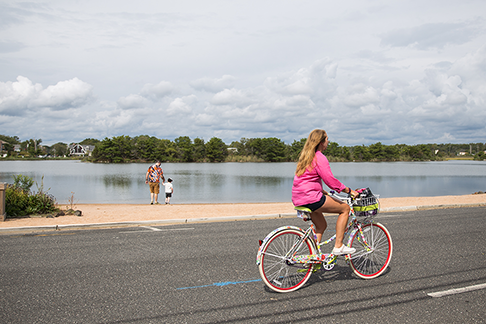 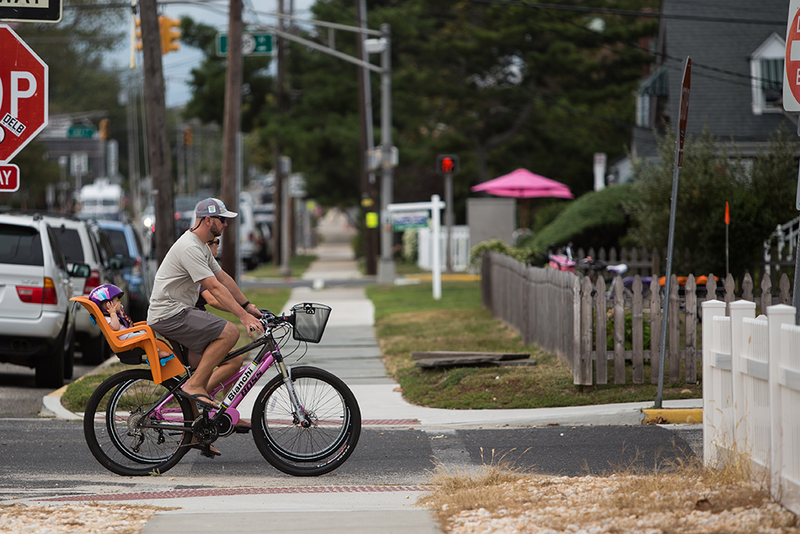 Whether out for some exercise or heading to the beach, many locals enjoy bicycling in the Borough of Bay Head. 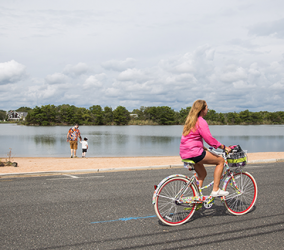 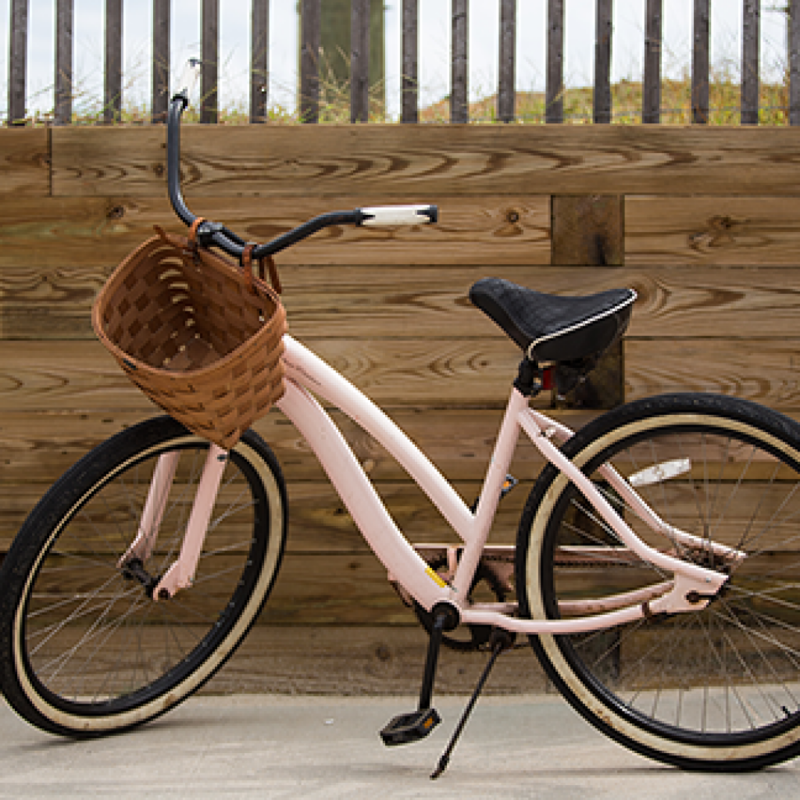 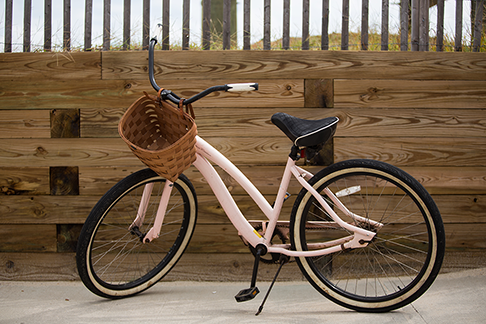 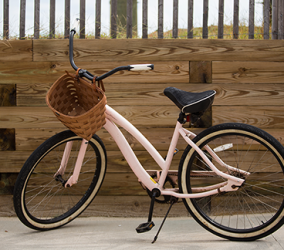 One of the most appealing reasons to bicycle in Bay Head is the beautiful water views.